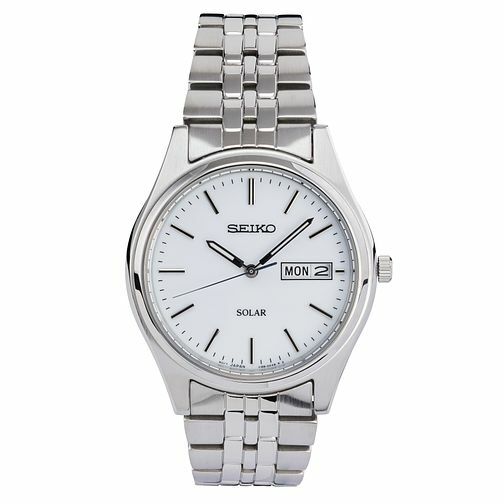 This Seiko men's solar stainless steel bracelet watch is perfect for ultimate comfort and functionality as its bold white dial, combined day and date box and 30 metre water resistance make it easy to read and give it brilliant functionality. The black hour and minute hands - inlayed with a strip of white - and the black thin baton hour markers make it a clear and appealing watch to use every day. 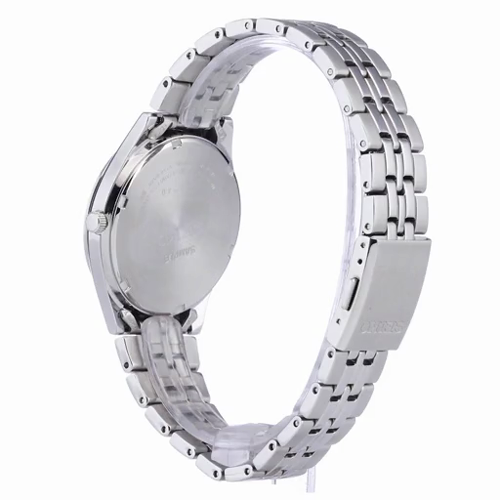 Seiko Men's Solar White Dial Stainless Steel Bracelet Watch is rated 5.0 out of 5 by 1. Rated 5 out of 5 by Anonymous from Good quality product This product is exactly what I wanted and being solar I don't ever have to buy any batteries. Customer service was truly excellent when rearranging delivery.